In this 19-1/2" strand, I've alternated 8mm and 6mm tigereye rounds, and spaced them with smaller gold and bronze beads. 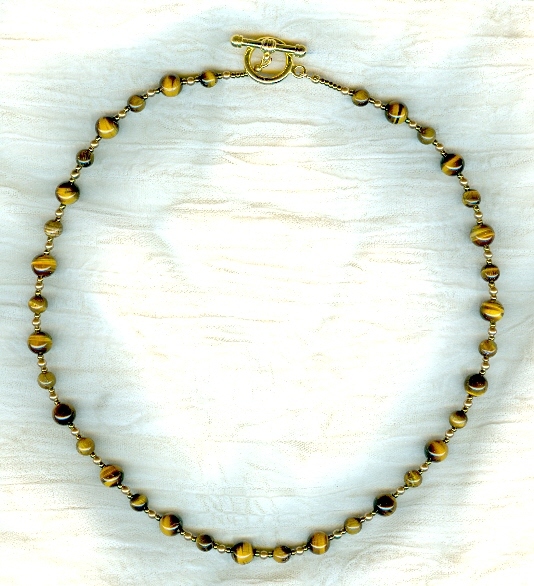 The clasp is a man-sized gold plate toggle. We've tacked on a handsome price to make this necklace absolutely perfect! Perfection's what we strive for, here at SPARKLE PLENTY.